Are You Overcoming Adversity to Reach an Underserved Market? Prior to my career as a business keynote speaker, I worked as a top producing sales agent for disability insurance and wealth planning. The same mindset I applied to overcome my diagnosis as a quadriplegic later landed me a highly competitive spot in the Million Dollar Round Table. No matter what issues are facing your growth as an insurance or financial services professional – staying focused and resilient, MOVING with change instead of resisting it, and thinking outside of the box to overcome market challenges will move you into success even when obstacles seem insurmountable. In November 2017, the Millman Annual Survey of the U.S. Individual Disability Insurance (IDI) industry outlined several obstacles to the growth of the insurance market. One of the problems was the perceived difficulty in expanding the market beyond traditional occupations. Yet, the survey found numerous opportunities for disability insurance sales to non-physician professionals, the self-employed, those in skilled trades, small and medium-sized businesses and millennials, especially women between 18 and 34, unaware they may be able to utilize DI to supplement their incomes while on maternity leave. Looking at just the self-employed contractor, many are millennials who work remotely. Comparing 2017 to 2016, there was an 11 percent jump in this area of the workforce. While the annual growth has declined to 5 percent, the category is outpacing many other areas. How many are there? Incredibly, more than 44 million. They are underserved. A poll was conducted by the Harris organization of more than 2,100 adults who lacked disability insurance. Forty-three (43) percent said the reason they did not have it was that their employers did not offer it. Only 14 percent of that number couldn’t afford coverage. Given the data and the opportunities, why aren’t more people being sold disability insurance? Why does it seem as though agents are unwilling to overcome the adversity of, as Joe Russo described it, “looking outside the little box” to sell disability insurance? It is a matter of comfort zone. He urges agents to go the extra mile. Leaving a brochure or putting a link to disability insurance on a website isn’t enough. An email blast isn’t enough, nor are phone calls or newsletters. It is all of the above, along with magazine articles, mailers, social media and a heavy dose of personalized attention. Some believe that their paychecks will never stop because they are invulnerable. Russo stated “the average American has somewhat of a ‘Superman’ complex, (that) the risk of becoming totally disabled and not being able to work is slim to none…that this is a complete fallacy.” I personally know that better than most. We need paycheck protection if catastrophe strikes. 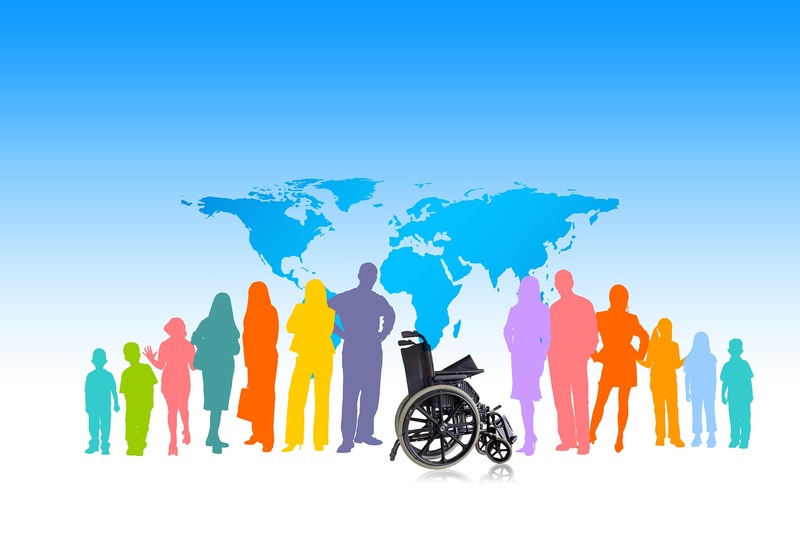 As a disability insurance salesperson, what is your vision for reaching those who lack protection? Is it not worth leaving a comfort zone to protect your clients? By overcoming adversity, we can work wonders in sales and in life. Don’t miss the chance to make a real difference. Posted in Adversity, Disability Insurance, Inspirational Speaker, Scott Burrows on March 12, 2019. Posted in Inspirational Speaker, Scott Burrows on October 2, 2014.